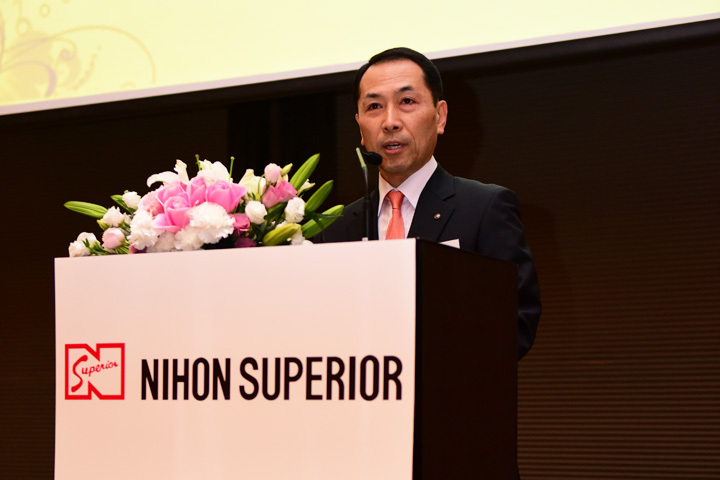 Thanks to the ongoing support of its many customers in the region Nihon Superior was able to celebrate the 15th anniversary of the establishment of Nihon Superior Thailand Co., Ltd. and the 5th Anniversary of their representative office in Vietnam. 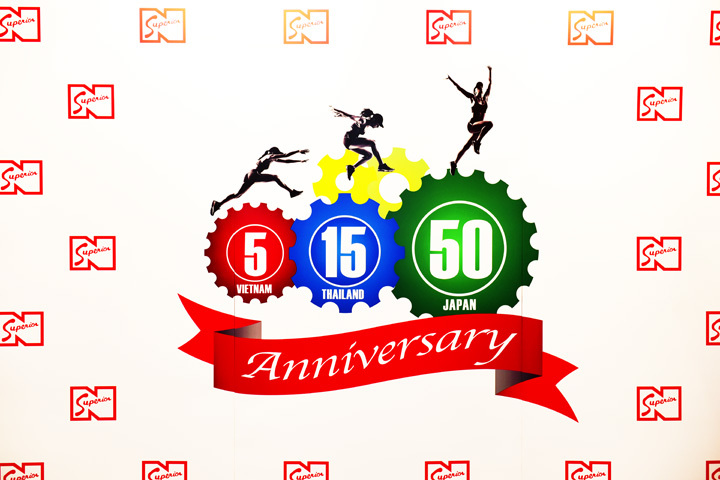 The anniversary celebrations were held at the Okura Prestige Bangkok Hotel on 14th March, 2015. 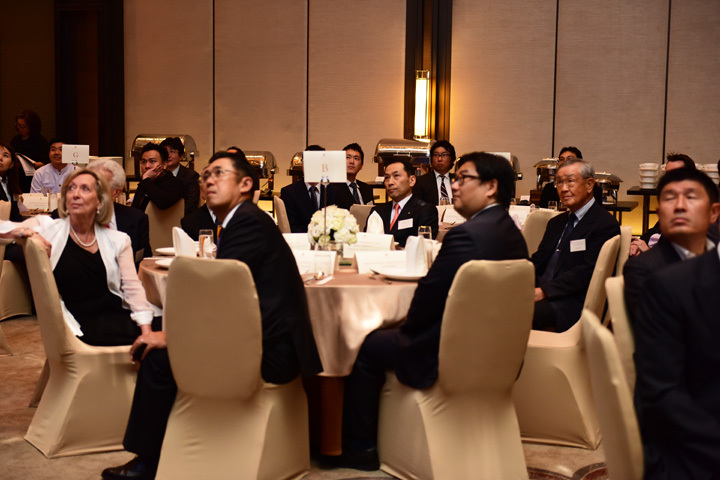 About 70 people including customers, staff from the Thai and Vietnam offices and staff from the company’s Osaka headquarters and overseas offices were welcomed by the chairman of Nihon Superior, Mr Toshiro Nishimura and the president, Mr Tetsuro Nishimura. 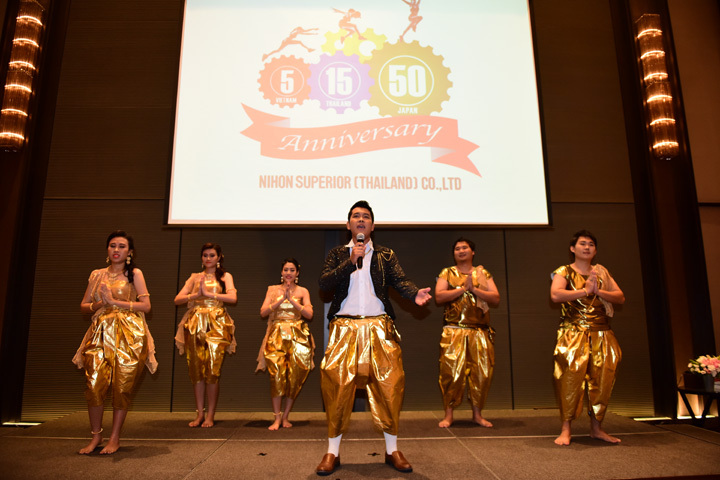 A highlight of the celebrations was a performance of traditional Thai dancing by Nihon Superior Thailand office staff.